The Watch Dog Dads program is a father involvement initiative of the National Center for Fathering that organizes fathers and father figures in order to provide positive male role models for the students and to enhance school security. 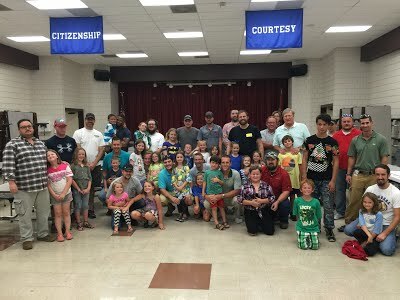 Our school has a Dogs and Dads hot dog dinner kick-off each fall where fathers learn all about the many ways they can help at our school and sign up for dates when they can come. Contact Mrs. Johnson, our school counselor, if you are interested in participating.